This collage pak is full of lovely elements. 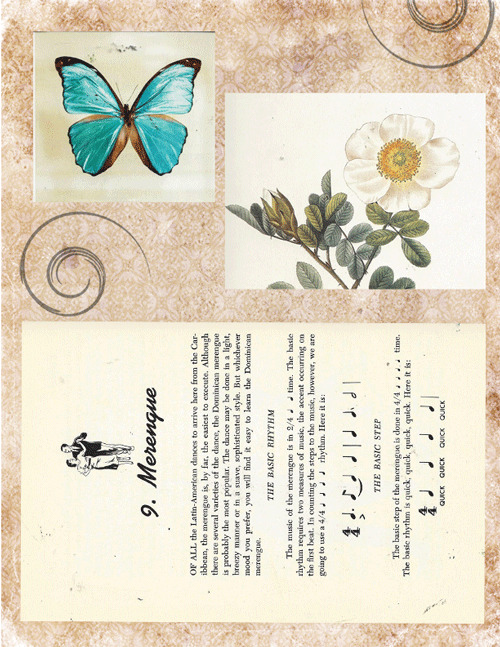 Pages from a 1953 dance book, 1965 encyclopedia on Greece, Platelet drawings, gorgeous butterfly and vintage flower. 4 pages total to create the Sunday Inspiration 8-9-15.